RETREET is a kaleidoscopic group of bicycle and tree enthusiasts with strong backs, sharp minds, and big hearts who volunteer to replant communities whose trees have been lost to natural disaster. Grady graduated from Georgetown University in 2004 with a BA in English. A professional project manager, Grady helped produce numerous film festivals, the 2008 Papal Mass at Yankee Stadium, the PBS Series “Texas Ranch House," and Michael Moore's film “ SiCKO” while living in New York City. Grady left New York in April of 2010 to travel around the world solo, visiting 25 countries on 5 continents in 18 months. Upon his return to the United States, he founded RETREET to redefine disaster relief and, through it, find purpose and fulfillment for himself and others. Grady is also a 2015 graduate of Municipal Forestry Institute, the president of Texas Urban Forestry Council, and an at-large commissioner for the City of Dallas’ Arts & Culture Advisory Commission. Jennifer is the President of Profitable Non-Profits, a consulting firm focused on improving the charitable sectors’ mission focus. A nonprofit executive director for 25 years, she was the previous director of Bayou Land Conservancy in Houston, TX. In 2013 she was named Houstonian of the Year by the Houston Chronicle for raising $4 million in 6 weeks to save a pristine prairie. Jennifer is a certified master naturalist and has organized the planting of thousands of trees in the Houston region. She LOVES trees! She is thrilled to continue her volunteer engagement with RETREET as a member of the board. Martha is the Executive Director of Keep Rowlett Beautiful (KRB) and serves on the City Council as Mayor Pro Tem of Rowlett, TX. In her role as Executive Director of KRB, Martha’s main focus is on environmental education, litter control, waterway cleanups and beautification projects. When a Category EF4 tornado cut a path through the heart of Rowlett on December 26, 2015, it destroyed hundreds of homes and trees. RETREET came to the rescue with partners, volunteers, funding, resources, know-how, and a contagious, can-do spirit. That was the beginning of Martha’s involvement with RETREET. Having personal knowledge of the value that RETREET brings to communities, Martha was delighted to join the Board of Directors to support RETREET's mission to plant hope in the hearts of those affected by disaster by restoring urban forests, while adding long-term environmental and economic value to communities. Kathleen is an Environmental Scientist and GIS Specialist. She earned her master’s degree in Environmental Studies from the College of Charleston in South Carolina and bachelor’s degrees in Biology and Bioenvironmental Science from Texas A&M University in College Station, TX. Kathleen has been working in the fields of conservation and natural resource management for the past 12 years. Her passion is connecting people to nature and engaging communities in protecting our natural world. Most recently, she served as a Natural Resources Management Peace Corps Volunteer in Mexico from 2016-2018. Michael is a Certified Arborist and Municipal Specialist through the International Society of Arboriculture (ISA) who holds a degree in Forest Science from Texas A&M University. He currently works as a project developer for Davey Resource Group, providing expertise in urban and community forest inventories, and resource analysis and management, as well as utility right-of-way vegetation management. Michael spent more than twelve years of his career as the chief arborist for the City of Dallas and as the urban forester for the City of Plano. He is a former advisor to the Texas statewide Urban and Community Advisory Committee and a 2008 graduate of the Municipal Forestry Institute. He is a member of the ISA (Texas, Rocky Mountain, and Midwestern chapters), the Society of Municipal Arborists (SMA), and the Utility Forestry Council, and he currently serves on the Board of Directors for the Texas Urban Forestry Council and as immediate past president for ISA Texas chapter. Coralina graduated with honors from Parsons with a BFA in Architecture and from Hunter College/CUNY with an MFA in Combined Media. A Brooklyn based artist and architect, Coralina integrates multi-media and social practice into her work as a method of piquing the senses and stimulating memory. Although media varies in her art, the conceptual rigor, and critical analysis of expression is constant. A foundation of sailing, athleticism, and cultural exploration infused by her mother, a chef, and father, a landscaper and tree farmer, has embedded a deep sensitivity to social, emotional, natural, sensory, and cognitive environments. Coralina has received numerous awards, including a William Graf Travel Grant and a Luetz Riedel Fellowship, has frequently lectured on and published her work, and is the creator of The Last Supper, a curated, indoor-outdoor salon of ideas occurring in Brooklyn during the crux of seasonal change, that has drawn thousands of participants. Patrick earned his Bachelor of Landscape Architecture from Ball State University. While working toward his degree, Patrick ventured on an independent study circumnavigating the United States by bicycle and train to analyze urban cycling infrastructure. The 1,500 mile bicycle journey led him to an internship with BikeTexas where he used the knowledge gained to help create the BikeTexas Benchmark Study. After graduating in 2011, Patrick returned to Texas to begin his apprenticeship in Landscape Architecture with the Austin Parks and Recreation Department. In 2016, he passed his Landscape Architecture Registration Exam and is now a professional landscape architect. Diana received a B.A. in Environmental Studies from the University of Minnesota. After graduating, Diana spent time working on an organic farm in northern Minnesota and then with the Conservation Corps of Minnesota where she actively restored oak savannahs and fought wildfires across the state. For the past 10 years, Diana has worked for Tree Trust, where she serves as a community forester and is responsible for the planting and distribution of thousands of trees at parks, schools, homes, and businesses each year. She also manages the Learning with Trees program, teaching the next generation of tree stewards about the importance of trees. Diana is an ISA certified arborist and a Minnesota Tree Inspector. 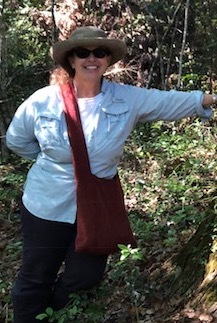 A self-described tree hugger, she is also active in the Minnesota Society of Arboriculture, Minnesota Shade Tree Advisory Committee, and serves on the Minnesota State Arbor Day committee. Ramiro is an advocate of natural and sustainable food sources with a background in culinary arts. His education began with formal schooling in San Francisco at California Culinary Academy and continued with an internship at 2-Michelin-star-rated Ristorante La Peca in Veneto, Italy. Since then, he has worked at urban farms, restaurants, and experimental kitchens in San Francisco, Dallas, and his hometown Los Angeles, for chefs Jose Andrés, Wolfgang Puck, Michael Mina, and, most recently, Timothy Hollingsworth at Otium Restaurant at The Broad Museum. Ramiro has traveled extensively throughout the United States, Europe, and South America, and is inspired by nature and the serenity that trees bring to both the urban and rural environment. An advocate and patron of the arts, Ramiro builds bridges between diverse community stakeholders to forward the unique and powerful mission of RETREET.